Offers a single tower design for space saving. Color coded with 6 categories for easy to use. QR code linked so you can find new exercises. 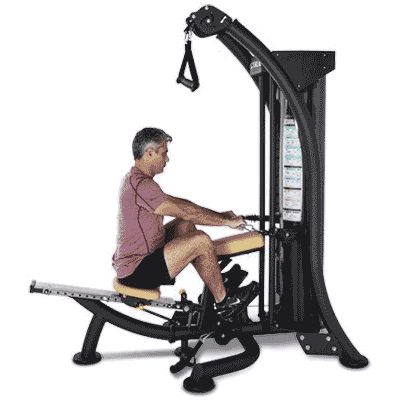 The TRUE Quickfit home gym has a sliding seat and row handle attachments for achieving aerobic and anaerobic workouts. 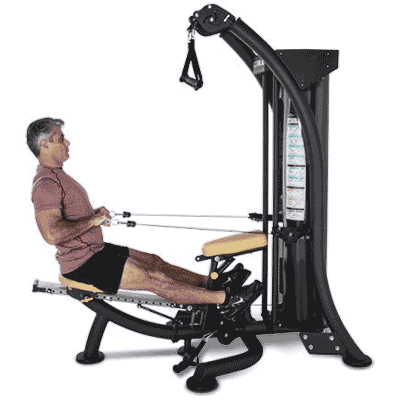 It offers over 19 exercises and has a pivoting back, rubber coated foot placements and an adjustable seat. The seat also folds to store other equipment. 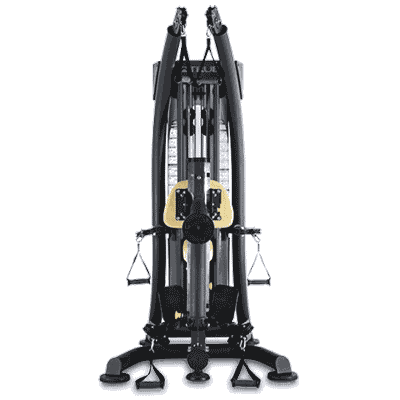 The TRUE Quickfit home gym has a footprint that is 67 inches in length and 83 inches in height, and is made of high-quality commercial material. 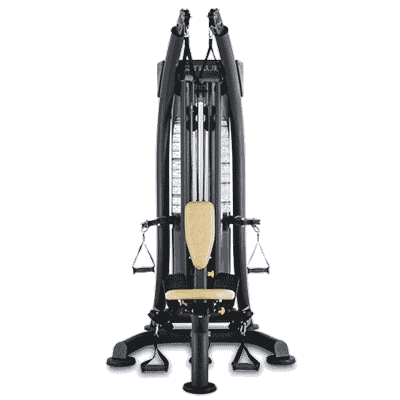 The TRUE Quickfit home gym is modern, offers space saving and is adjustable to fit all of your workout needs. The warranty is 10 year frame and welds, excluding coating. 5 year bronze brushing, sealed rotating bearings, pulleys, weight plates and guide robs, excluding coatings. 1 year cables, labour, linear bearings and shafts and all other components. 90-day normal wear and tear warranty.